The San Diego Run Club Foundation is a non-profit 501(c)3 founded with the runner and the community in mind. Our organization works with USA Endurance Events (www.usaenduranceevents.com), bringing running events to unique and beautiful cities and towns throughout the U.S. to raise funds to benefit local area schools and other local charities in each city the event is held. Our goal is to build awareness of a healthy lifestyle of running to young and old. Whether you are training for your 100th Marathon or want to run your first Half…or maybe just want to get in great shape, we have a program for you. Our goal is to keep you motivated and hold you accountable to keep you on track. If you don’t have a running partner now, you will after you join our group. We are a social club for all level runners that makes it’s easy to hook up with someone who runs or run/walks your pace. Know that a portion of your membership fees goes to benefiting local charities including Up and Running Again. Lee Ann Yarbor—Lead Run Coach; Patricia Joyce and Rachel Pizarro, Isoud Manasir and Jeremy Decot. 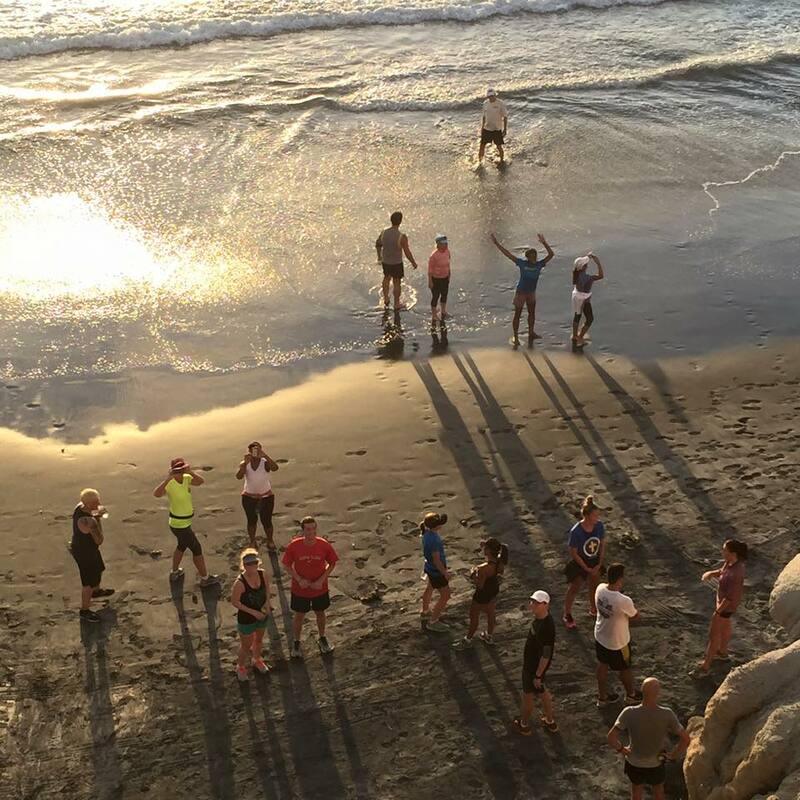 The San Diego Run Club has a combination of 40 years of experience in coaching and participating in events…from marathons to Ironmans. We have a training program for EVERYONE from the beginner to seasoned runner and triathlete. Whether your goal is to qualify for Boston, run your first half marathon or5k, participate in sprint tris or Ironmans, we will personalize a training program just for you that will help you achieve any goal…but most importantly, have FUN doing it! 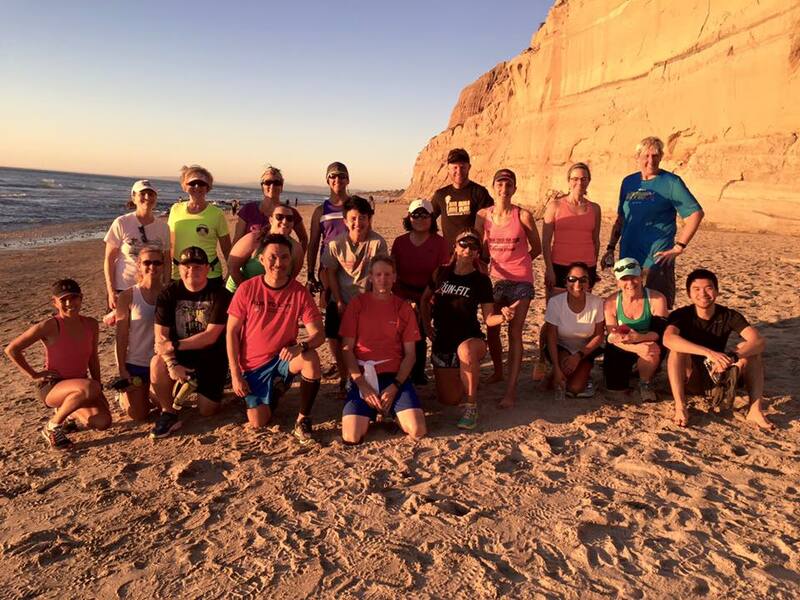 The San Diego Run Club offers 4 coached runs per week. Currently, we offer HILL RUNS on Mondays (March - October), TEMPO RUNS on Thursday, TRACK on Tuesday and LONG RUNS on Saturday mornings. It's San Diego Run Club's mission to partner with Up and Running Again to assist people seeking to overcome economic poverty. We do this by training people to complete a half-marathon. The goal setting and sense of accomplishment it inspires translates toward a path of lifelong success. We keep a year-round calendar of scenic, inspiring races that cater to all levels. Whether you're a competition thrill-seeker or seeking a low-pressure challenge, there's something for everyone!